The Smart city is a fast advancing zone in urban planning and aged cities of today. This concept is based on the application of connected various systems in managing a city effectively. Some of the major aspects that the smart city emphasizes are energy and water supply, transport and access control, public health and safety management. The ambition of building and modernizing cities with connected infrastructures is to provide better public services, seamless high-speed communication and a better-quality living environment. The development of the smart city significantly relies on the Internet of Things (IoT) technologies. The IoT can be applied in a great variety of environments ranging from energy saving systems, traffic monitoring, connected vehicles, building management and access control to smart-home devices. The expansion of IoT devices, is expected to grow beyond 50 billion devices in the next decade, providing the technological backbone for smart cities development. To a large extent, the adoption of IoT technology in the smart city development focuses on two aspects: energy and communication efficiency. These two attributes can also be achieved through effective, well-planned and integrated access control management. In this perspective, a smart city can allocate its resources economically as well as limit excessive access of vehicle and people. Hence, this paper emphasizes the centralized access control management of the smart city (service centered, cloud based or similar). IoT based access control systems are composed of connected structures with incorporated sensors. They can modernize and improve traditional access control efficiency via decision-making algorithms. As a result, time and monetary resources can be optimized for both the city authority and citizens. Nevertheless, the underlying technology of IoT presents security concerns, the collaboration of IoT vendors and access control technologies may provoke a series of incompatibility issues and thus open the way for weaknesses and vulnerabilities. This research consists of three parts. The first section contextualizes the background of access control systems in urban planning. Since discussions around internet based access control are not well developed online, traditional and IoT-based access control systems will be analyzed comparatively.  The second section provides a comprehensive review on the advantages of adopting IoT-based access control systems in various scenarios of the smart city. The third section illustrates cybersecurity issues of deploying IoT-based access control systems in the smart city context.